· HTWO water helps flush toxins at the cellular level while rejuvenating your core … bringing your body back the efficient running it was meant to be. · HTWO can increase your energy by helping you perform significantly better without feeling fatigued. · Studies show that the use of hydrogen water can increase metabolic function. Why should you switch up your bottled water for HTWO in 2018? HTWO has countless health benefits. Specifically, it promotes energy, boots endurance, reduces fatigue and reduces lactic acid without the addition of counterproductive sugars, caffeine and additives – perfect to drink pre/post workout! Calm represents the leaders in the meditation space, and they recently launched their first physical product called “Sleep Mist” that pairs with their very popular bedtime tales for adults (even Stephen Fry has recorded one!). This natural solution to find those elusive zzzzs (seniors in particular tend to have issues with this!) would make the perfect stocking stuffer! Don’t know what to give your father for Christmas? Not sure what Mom wants for Chanukah? Give the gift of good health – give a bottle of personalized multivitamins from Vous Vitamin. We get it — vitamins as a holiday gift doesn’t so readily come to mind. However, our busy lives too often leave us neglecting ourselves, so when someone steps in with a little help on the health front, the gesture goes a long way and in more ways than one. Consider a gift certificate for a one-to-six month supply of Vous Vitamin, and think about pairing it with the award-winning book, The Vitamin Solution: Two Doctors Clear the Confusion about Vitamins and Your Health. For years Romy Block, MD, and Arielle Levitan, MD, heard from patients that they were interested in taking supplements, but confused by what to take. 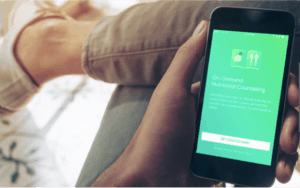 In response, the doctors culled through the latest research to create Vous Vitamin, a line of high quality, multivitamins tailored to an individual’s needs. Consumers complete a brief survey on Vousvitamin.com, which takes the guesswork out of what formulation is right for them. The survey asks about such factors as age, diet, exercise and health symptoms. A gift certificate for Vous Vitamin multivitamins can be ordered by sending a note to Info@vousvitamin.com, and cost ranges from $39.99-$167, depending upon how many months are purchased. Following the success of their vitamin line, Drs. Block and Levitan wrote The Vitamin Solution: Two Doctors Clear the Confusion about Vitamins and Your Health to educate people about supplements and ensure their safe and effective use. Available at all major retailers, the book makes an ideal gift for the health-curious and health-conscious. The book is available for $17.95. Quercetin – the main ingredient in all-natural Q Drink Healthy – can help you defend against viruses. A University of Michigan study found that quercetin interferes with viral replication and can prevent infections. No, it’s not a miracle drink but shortening the life of a cold or decreasing the chance of getting one is naturally awesome. For overactive immune systems, quercetin acts as a natural antihistamine, lessening the symptoms of seasonal allergies (Pharmacongnosy Review). Q also comes in travel-friendly single-serving packets and tastes great. Full ingredient list can be found here. 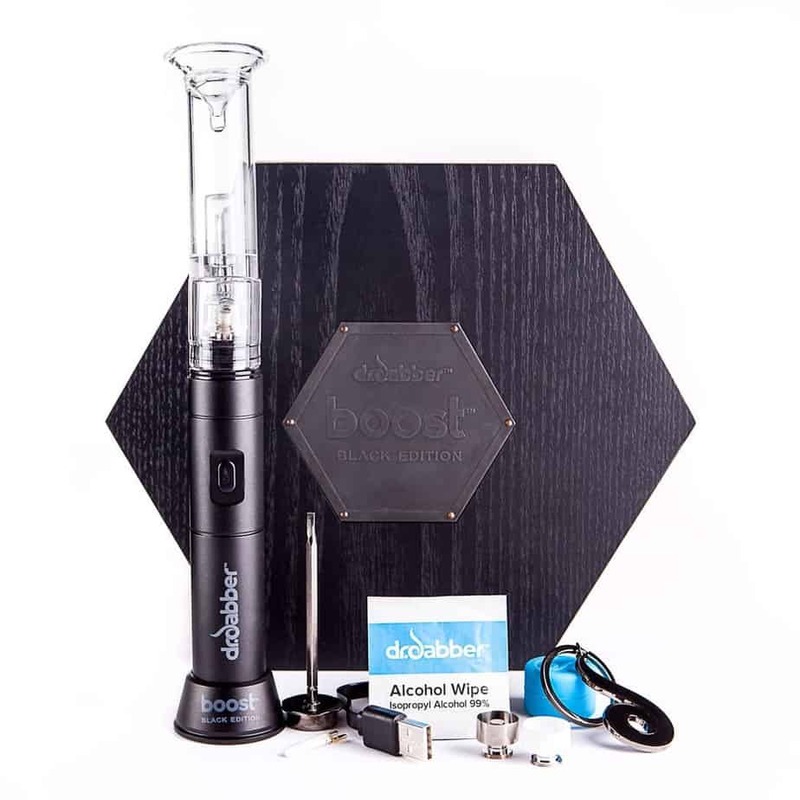 The innovative vaporizer company, Dr. Dabber, has announced the next generation of their Boost lineup. The Dr. Dabber Boost is the first portable, battery-powered dab rig for essential oils, employing a titanium domeless nail much like you would see in traditional glass dab rigs—no torch required. Dao Labs is the holistic way to conquer travel this holiday season; whether you find yourself needing an immunity boost, digestive aid, or emotional balance. Dao labs founder, John McGarvey, first experienced the power of Traditional Chinese Medicine twenty years ago. Combining his professional background in consumer products with his personal experiences in Asia with Traditional Chinese Medicine, John’s mission has been to help people experience the power of TCM in a natural, easy-to-use format. Dao Labs products are based in Traditional Chinese Medicine (T.C.M.) containing all natural herbs with no artificial flavors or GMOs. All formulas are packaged and tested in the USA to ensure quality and safety. Their inviting aromas and pleasant flavor combinations will get you hooked on health, without the common T.C.M. taste. Simply add powder to a small amount hot or cold water, stir , enjoy, and experience the power of Dao Labs. THE TOUCHPOINT SOLUTION™ IS HERE!! Stressed out? Can’t sleep? Having trouble focusing? Your troubles are almost over! TOUCHPOINTS™ are new breakthrough wearable devices that use BLAST (Bi-Lateral Alternating Stimulation-Tactile) technology to help to reduce stress by over 70% in as little as 30 seconds! The devices are non-invasive, drug free and have shown great success not only for day to day anxiety and stress, for cravings, to promote restful sleep, deal with anger, and help us to focus and therefore increase performance. What a great holiday gift! Who wouldn’t want your significant other, close friends, family members and even kids more relaxed and less stressed? It’s great for those with PTSD as well. This is the gift that keeps on giving throughout the year as everyday pressures, workloads, social situations, and family dynamics (not to mention reading the news!) create stress on an ongoing basis. It beats a bottle or two of wine which would likely be good only for one evening. The original TOUCHPOINTS™ work with an app and have six settings; the new, basic model has three settings and does not require an app, making it easier for children with ADHD or autism to use them in school or elsewhere more easily. Parents and teachers both rave about their effectiveness. TOUCHPOINTS™ basic and original are available at www.ilovetouchpoints.com and numerous other retailers and are reasonably priced to make them accessible, one of the goals of the company’s founders, Dr. Amy Serin and Vicki Mayo. Visit www.thetouchpointsolution.com to learn more. Instead of reaching for the Advil next time you experience joint pain (i.e. in your knees after a long run or intense workout, following a recent surgery, from chronic pain or arthritis) Previnex’s Joint Health PLUS is a Pharmaceutical Grade all-natural remedy for pain and inflammation that has been clinically proven to reduce joint pain/stiffness and improve joint flexibility in 7-10 days. For more information, visit www.previnex.com. Vizuri Consumer Healthcare recently announced the commercial launch of PainBloc24TM, the first and only 24-hour OTC, topical pain reliever for osteoarthritis (OA) joint pain. More than 30 million U.S. adults are living with OA, and the prevalence increases with age, ranging from about 2 percent among persons younger than 45 to more than 80 percent among those aged 75 and older. PainBloc24 TM is the only OTC topical pain reliever that has been clinically shown to help relieve OA knee joint pain for 24 hours with as little as one application per day. In addition, patients who used the product for just seven consecutive days continued to experience relief from their OA pain for an additional three weeks after the last application. SoClean is the CPAP sanitizing device company that is aiming to make CPAP cleaning a breeze! Perfect for anyone in your life using a CPAP device to treat their sleep disorder—such as sleep apnea, the SoClean unit is a great gift to give them as it helps to simplify the CPAP cleaning process. 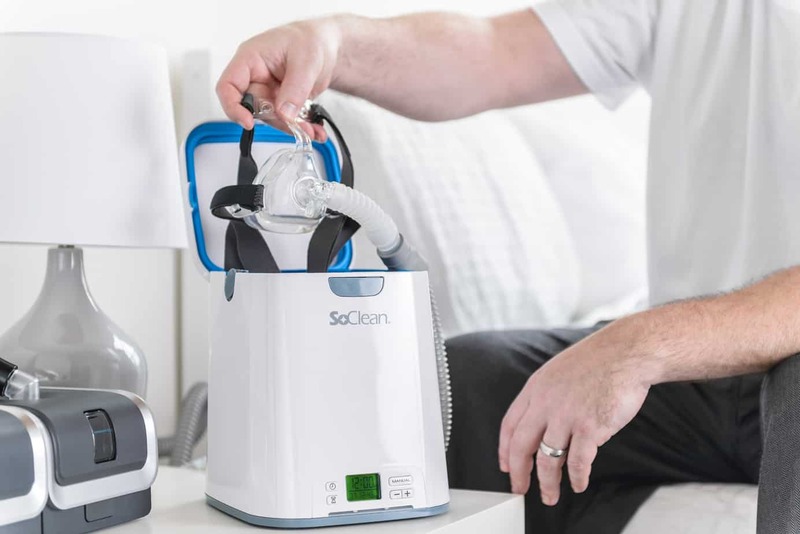 SoClean is the first and only automated CPAP sanitizing device company on the market and uses safe and natural ozone technology to kill 99.9% of CPAP germs, bacteria and other pathogens that can be found in a CPAP device. SoClean’s one-touch process requires no water or added chemicals making the cleaning process a breeze for the CPAP user in your life. With SoClean, there is no disassembly or emptying of water – and if there is water, SoClean will disinfect that too. The SoClean unit will go through the disinfecting process during the day, so when your loved one comes home, they have a completely clean and safe system! Coral LLC has increased the power of its popular Hawaiian Red Turmeric Gummies with the addition of black pepper to the formulation. Turmeric’s active ingredient, while known to offer a high level of potential health benefits due to its antioxidant and anti-inflammatory capabilities, is also notorious for its significantly low bioavailability—or absorption. When combined with black pepper, turmeric’s bioavailability is increased by 2,000 percent. Coral LLC Hawaiian Red Turmeric Gummies offer 100 mg of Hawaiian-grown, organic turmeric and 2 mg of BioPerine® black pepper extract. The great-tasting gummy bears are gluten-free, soy-free, dairy-free, gelatin–free, and are easy to digest and absorb. MSRP: $29.99 (WSP: $14.95) for 60 gummies (30 servings). For more information visit www.coralcalcium.com. EduPlated is a brand new fitness app designed to link dieters with dietitians that meet their specific needs to start a diet and/or stick with it. Recently launched, this app can be found at www.EduPlated.com and it is a perfect holiday gift for the weight watchers on your shopping list! EduPlated.com subscriptions come in two options: one for $49.99 per month and another for $99.99 per month. For anyone suffering from pain, the holidays can exacerbate their symptoms with all the planning, shopping, cleaning and partying. A stocking stuffer from Santa that is filled with Salonpas will reduce pain and may foster holiday cheer! New, cost-effective solutions for pain management awaits aching sufferers with the introduction of the Salonpas® Lidocaine Plus Pain Relieving Cream and the Salonpas® Lidocaine Plus Pain Relieving Liquid. The Salonpas® Lidocaine Plus Pain Relieving Cream and the Lidocaine Plus Pain Relieving Liquid with two powerful anesthetics: 4% lidocaine which is the maximum strength lidocaine allowable without a prescription and 10% benzyl alcohol which is fast-acting. We all know the scenario. The holiday season has crept up on you and now you need some major beauty essentials to radiate gorgeous, healthy skin at the next company Christmas party. What do you use? 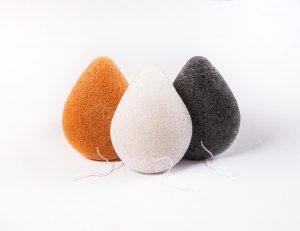 The all-natural, Konjac Sponge by Dew Puff is your new BFF this time of year! 100% plant-based, Dew Puff has only one ingredient: konjac root. When hydrated, these natural sponges transform into super soft, yet gently exfoliating tools while creating a perfect pH balance on the surface of your skin. Be sure to shine wherever you are this season with Dew Puff! Keeps skin healthy and radiant! This holiday, boost the beauty of your skin with Dew Puff! Available on DewPuff.com, Amazon, Drugstore.com, etc.